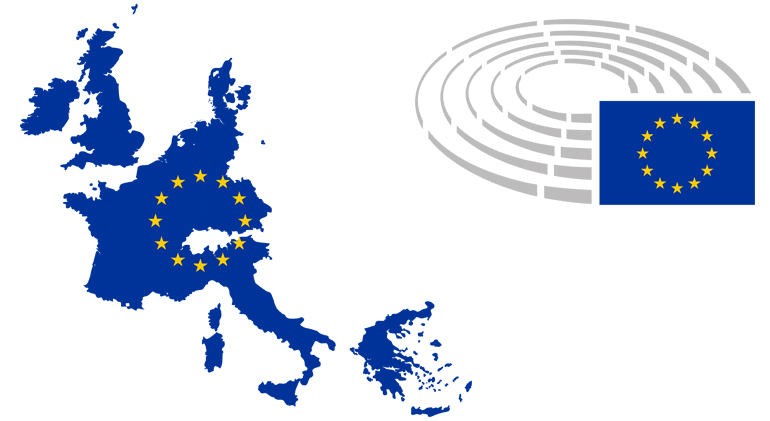 In December 2017, European Added Value Unit of the European Parliament published the Fourth edition of its report “Mapping the Cost of Non-Europe 2014-2019” (the “Study”). The Study is especially relevant if placed in the context of challenges the EU is facing today such as: impact of Brexit on the EU Budget and the consequences for the EU’s political and economic interests, the rise of populist parties within the EU Member States and rather sluggish European economic growth. The aim of the Study is to analyze potential increases in annual EU GDP, if different policy initiatives made by the European Parliament were put into effect. Namely, the aim of the Study is to show that the absence of common action at European level in particular fields, may lead to an efficiency loss to the overall economy and/or to absence of realization of a collective public good that might otherwise exist. Prior to the most recent edition, the Study which is intended to cover a five-year institutional cycle, 2014-2019, had three editions including the first edition published in March 2014 and two updates in July 2014 and April 2015 (the “2015 update”). Results of the latest analysis state that economy of EU could “gain” EUR 1.75 trillion per year (which represents 12% of EU GDP in 2016), if certain measures were accepted before the European Parliament. Some of these measures will be presented later on in the article. There are two major differences in the recent Study compared to the 2015 update: (1) Measured gain: While 2015 update predicted potential gain of EUR 1597 billion a year, the 2017 version predicts EUR 1751 billion, and (2) Items analyzed: Certain new measures found their way into the Study, while some were excluded. While 2015 update contained analysis of 25 policies, the 2017 version is a lot more comprehensive encompassing 34 policies. Of special importance is to note that the 2017 update gives more emphasis on human rights protections – especially focused on categories of human society whose rights are, as history teaches us, most likely to be violated, or those incapable of protecting their own rights – for example: “Combating violence against women” (Measure 22 of the Study), “Protection of vulnerable adults” (Measure 26 of the Study), etc. Although both versions are comprised of eight sections under which the measures are enumerated and analyzed, these sections do not coincide. What seems to be one of the most important novelties, is addition of a new section named “Fighting tax fraud and tax evasion”, under which 2 measures are analyzed: “Addressing corporate tax avoidance”, which is assessed to bring EUR 160 billion a year, and “Combating value added tax fraud”, which is assessed to bring EUR 9 billion a year. It is also important to note that 2017 version of the Study recognized the latest, and most certainly, the greatest change in mutual relations of EU countries in the recent times, which is a result of the migration crisis and unprecedented flows of refugees and migrants from Middle East to the EU. Namely, these events caused re-introduction of borders between some of the Schengen states, possibly jeopardizing the Schengen Area, one of the greatest accomplishment of EU politics. Financial impact of these changes is addressed in the Study – Measure 13, entitled “Cost of Non-Schengen”: Impact of re-introducing border controls” which estimates the costs of re-introducing border controls between the Schengen states, in terms of infrastructure and officer’s expenses to be up to EUR 20 billion immediately and EUR 2 billion to EUR 4 billion per year for annual operating costs. Also, estimated cost when it comes to delays for individuals and businesses if the whole Schengen area was suspended indefinitely is expected to be some EUR 100 billion to EUR 230 billion over a period of 10 years. Special attention should be paid to the measure estimated to generate the greatest income, entitled “Completing the European Single Market” (2017 version of the Study), which changed its title from “Delivering and completing the existing Single Market for consumers and citizens” as it was in 2015 update. This measure is expected to potentially generate EUR 615 billion per year. The Study suggests strategy and proposes measures that would most likely be successful in achieving full economic potential of single market. The Study notes that, although high level of integration has been reached and market integration has brought great economic benefits to the EU member states, unanimous opinion of the same states is that market still has many flaws, that it doesn’t live up to expectations, which results in losses and expenses for the EU economy and needs further development. Also, stated in the Study is that potential benefits are yet to be fully assessed, and that further development of “classic single market” could lead up to increases in EU GDP by EUR 615 billion a year, if remaining barriers were removed. This amount matches the one predicted in the 2015 update, but the 2017 version of the Study also takes into account new analysis undertaken under the auspices of European Parliament, after the 2015 update was published. Namely, the Study highlights a new Paper published in January 2016, which reported that complete introduction of single market (which besides “classic single market” includes new measures), could generate as much as EUR 1 trillion a year 1, but that a lot of work has to be done, and obstacles to be surpassed, in order for this gain to be brought to life. It remains to be seen how future political developments, specifically impact of Brexit, will shake up the EU, influence the above-mentioned savings as well as Serbia’s path to EU membership. To read the Study, go to “Mapping the Cost of Non-Europe, 2014-19, Fourth edition”. 1 A Strategy for Completing the Single Market: the Trillion Euro Bonus Report of the High-Level Panel of Experts to the IMCO Committee, by EPRS | European Parliamentary Research Service of the European Parliament; January 2016.